Bath time can mean many things. It can be toddlers playfully splashing with rubber duckies. It can be wrangling a muddy dog who is not interested in soap. It can mean some candles and luxurious bubbles after a long day at work. What bath time means to you has great bearing on what kind of tub will work best for your situation, and we urge you to consider if your tub is working well for you. We often encounter homeowners who are totally unaware of the options they have when it comes to bathtubs. They believe the standard or conversion shower/tub combo is all that will fit or work in their space. While the standard tub might work best for their needs, there are so many options that might better suit their lifestyle. 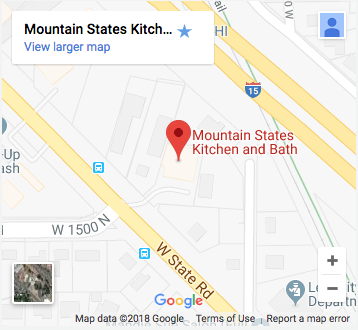 For a full range of options, you can visit us at Mountain States Kitchen & Bath. Today we’ll talk about the most popular options: Victorian and Standard. Let’s start with the most common, functional tub: the standard tub. Standard tubs can fit well into tight spaces, work with a shower head option, and usually features an alcove setting (three walls surrounding it). Standard tubs work really well for a range of people. You can take a relaxing bath, bathe young children, wash your blinds or large items, and more. The standard tub is the one-size-fits-all for most people, and works well when it will be used by lots of different people in different contexts. Standard tubs are also the most affordable, but, if we can say so, a little boring. We have a soft spot for Victorian tubs. Free-standing, clawfoot, whatever name you choose to call them – these deep soaker tubs are show-stoppers. They can go in the space of an alcove, in an open bathroom without surrounding walls, or even in the middle of a large room. There is such a spa-like feel to these tubs, and they accommodate adults who prefer relaxing baths much better than the standard tub option. Victorian tubs can create a luxury feel for a master bathroom that can make their home look more expensive and unique. If you’re thinking about a bathroom remodel, and you don’t need a kid- or dog-friendly bathtub… take a look at some of the incredible Victorian tubs we have to offer. It’s time to decide if your tub is working for you. Do you need a deep soaker? A walk-in tub? A beautiful spa style tub? We can help with that.